Ready to light up your next promotion? 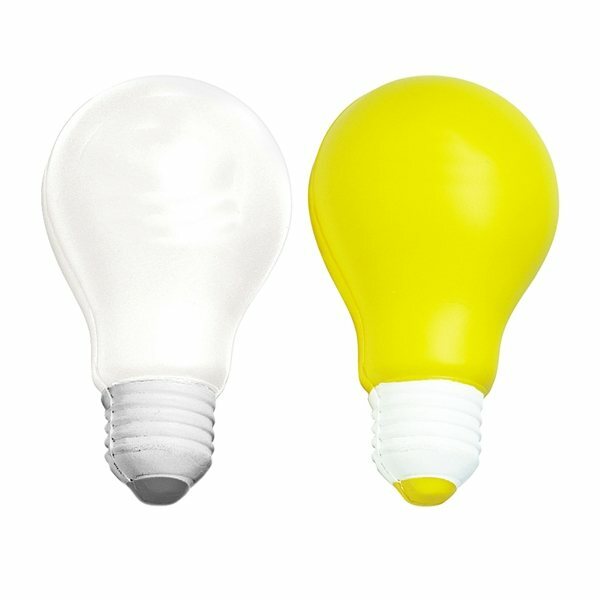 These light bulb stress relievers are handcrafted polyurethane foam stress balls in the shape of a classic light bulb. 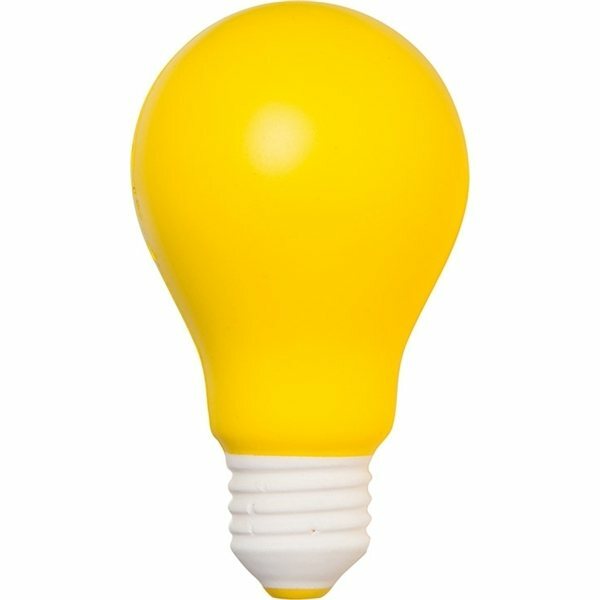 Custom light bulb stress balls are great for marketing utility companies, fixture stores, as well as creativity and bright futures. 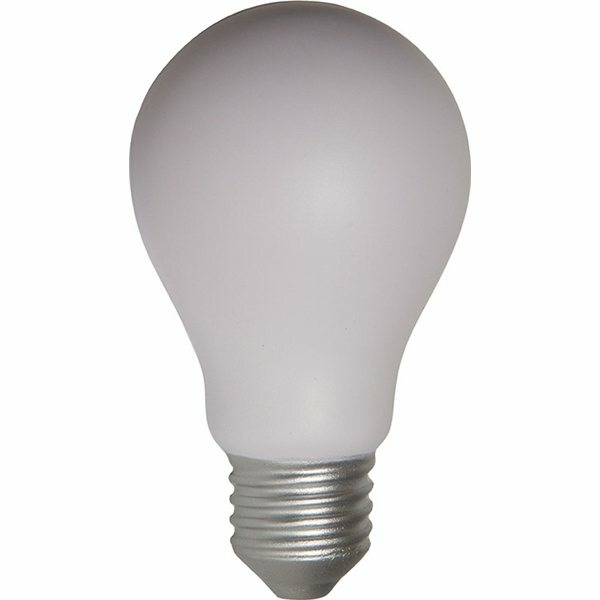 Our light bulb squeezies are a great promotional item because they are are perfect for squeezing away stress. The bulbous shape is ergonomic for squeezing, and the polyfoam is soft but firm, making it great after a hard day on the job. After a few good squeezes of our promotional light bulb stress balls, you may even have a great idea! Made of polyurethane foam, which is soft and flexible yet sturdy. Great for encouraging workplace creativity and bright ideas. A customer favorite (one of our top 100 products). WARNING: Products are not intended for use by pets or children. They may present a choking hazard to children under 3 years old. DISCLAIMER: Due to being handcrafted, these stress balls may vary slightly in size, color and texture. Factory cannot guarantee PMS matching or perfectly consistent imprints. We needed something last minute, and this filled the bill. The squeeze bulbs are a bright idea (ha!) and the logo was clear and clean. Very satisfied with the product for the price, and as with other products we've ordered from AnyPromo, the ordering, artwork, processing and delivery was all on time and communicated to us, every step of the way. We feel this product turned out nice. Great product for keeping a business name available to customers. We liked the option of using the magnet or a sticky strip for hanging the card. Light weight so it can be mailed within the one oz postage. I'll likely order more later on. :) Good quality at good price.